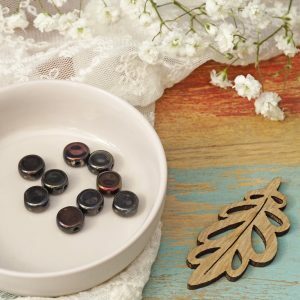 The most beautiful finished jewellery with L2Studio.sk cabochons! 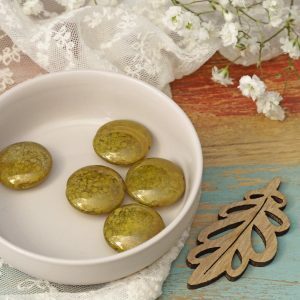 Precisely a year ago my friend Lenka Gondova started her own line of art quality, handmade clay cabochons. 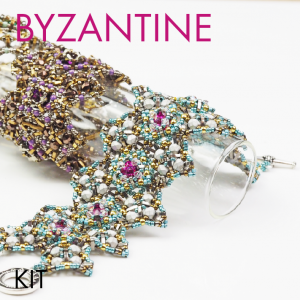 Since then some of her beautiful creations got into the hands of the best and most creative beaders and bead designers, among them Miriam Shimon and Sabine Lippert for example! 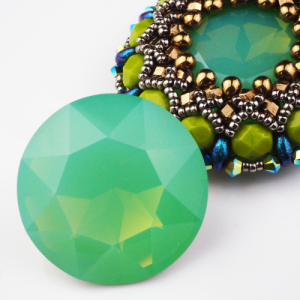 Would you like to play with an L2Studio cabochon? You can enter until the 7th of August (12am Central European time). I will let you know by e-mail if you are the lucky one! and you will even have a chance to win your own! 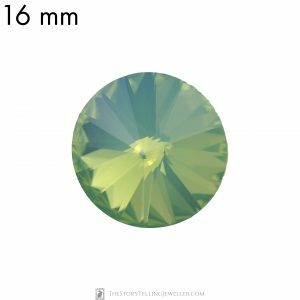 One of the first jewels ever made with an L2Studio cabochon is this pendant, featuring a bright green Sashiko cabochon. The base is an even-count Peyote stitch stripe, doubled at the top to make a loop for the chain to slide through easily. 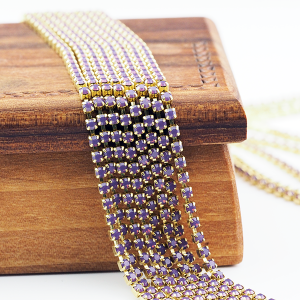 The beautifully smooth surface is made of tiny 15/0 Japanese seed beads. 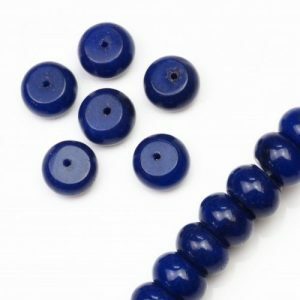 The lighter beads create perfect rhythm, focusing attention on the cabochon itself. 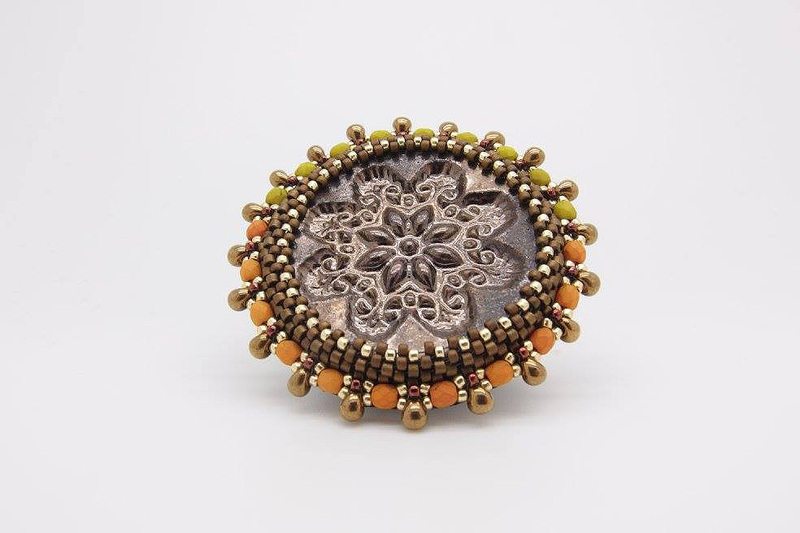 The Peyote bezel around the cabochon uses three different colours of Toho beads, and is adorned by olive green rhinestone chain. The pendant is a real masterpiece in its simplicity! Saska was my colleague in Bratislava in the bead shop I co-founded and run for 6 years. She has excellent taste, and a perfect eye for details! 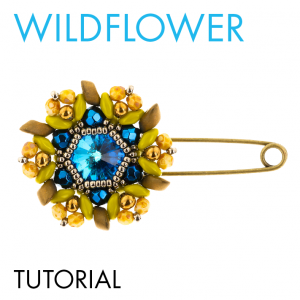 This brooch features one of the nicest cabochons I saw so far from L2Studio. 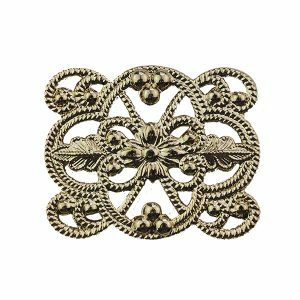 It comes in a beautiful bronze brown colour. 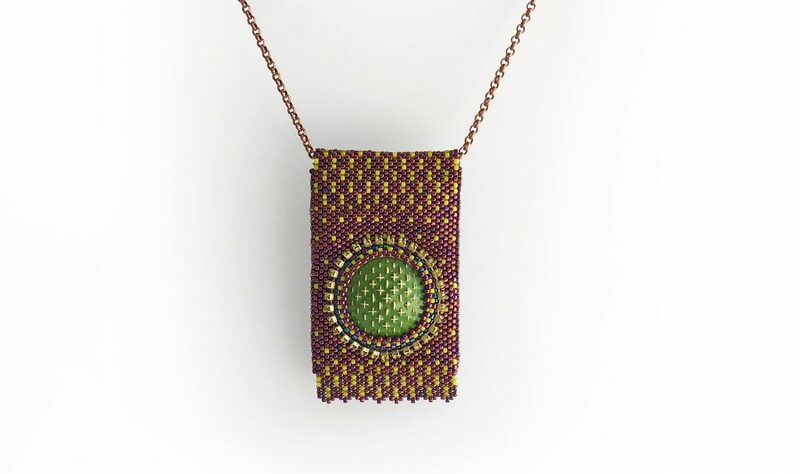 Saska chose mat brown, shiny silver and light metallic bronze Japanese seed beads for the Peyote bezel, a teeny-tiny bit of metallic raspberry (they are just in front of the Miyuki drop beads and a surprising combination of mat orange and avocado green Czech fire polished beads. 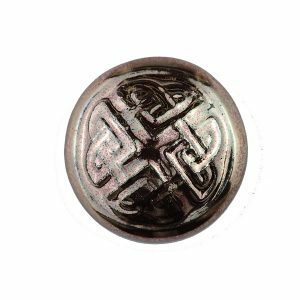 They work very well with the design, and while they are an interesting, fresh element in the brooch, they are far from too much: the cabochon is still in the centre of attention. 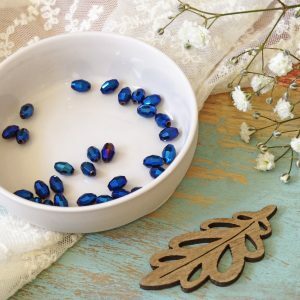 Katie Dean is a fellow Beadsmith Inspiration Squad member and until recently she was the editor of Bead and Jewellery Magazine. I worked with her several times on different projects. If I had to choose three words to describe her, I would say professionalism, patience and of course, creativity! 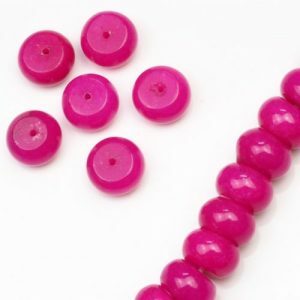 One of the sections I like the most from Bead Magazine is the one introducing new beads and components. 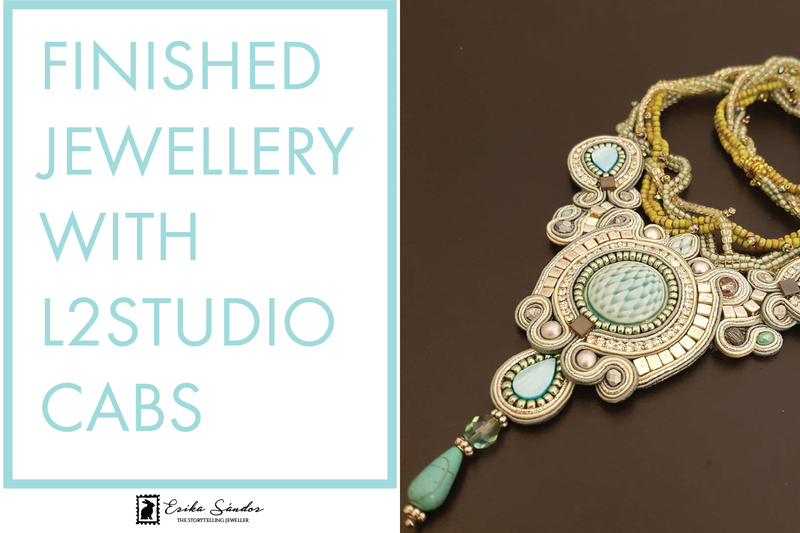 When I asked Katie if she would maybe want to showcase the new cabs from the L2Studio.sk atelier, she said yes, and even wrote a whole article about them! (You can find it in issue 77, which came out in April / May 2017). Katie loves bright colours and playful shapes. The red Sashiko cabochon she received as a surprise gift from Lenka reminded her of a tasty, sweet strawberry, and she turned the round bezel into a strawberry shape. The light green leaves also function as a bail – what a clever solution! The bezel leaves the back of the cabochon open. 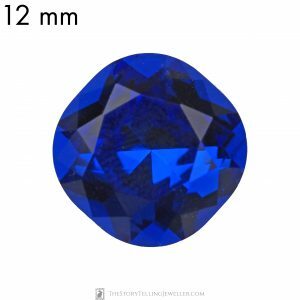 In this case this is really an added value, since all of the cabs are stamped by L2Studio to make it easy to distinguish between original and copy. 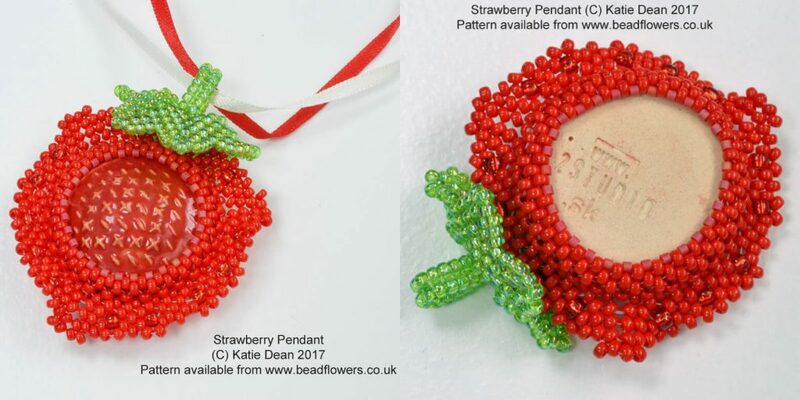 Katie wrote an article about her experience of working with the cab, and you can find the tutorial of the Strawberry Pendant here. I love huge rings (and earrings, and pendants, and bracelets). 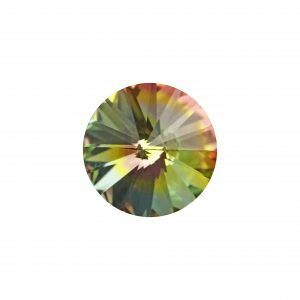 The one Sabine made of Lenka’s beautiful cabochons is definitely an eye catcher, and it’s really worth to take a closer look at! She chose not one, but two cabs to work with: a 25 and a 17.5 mm rounded square. 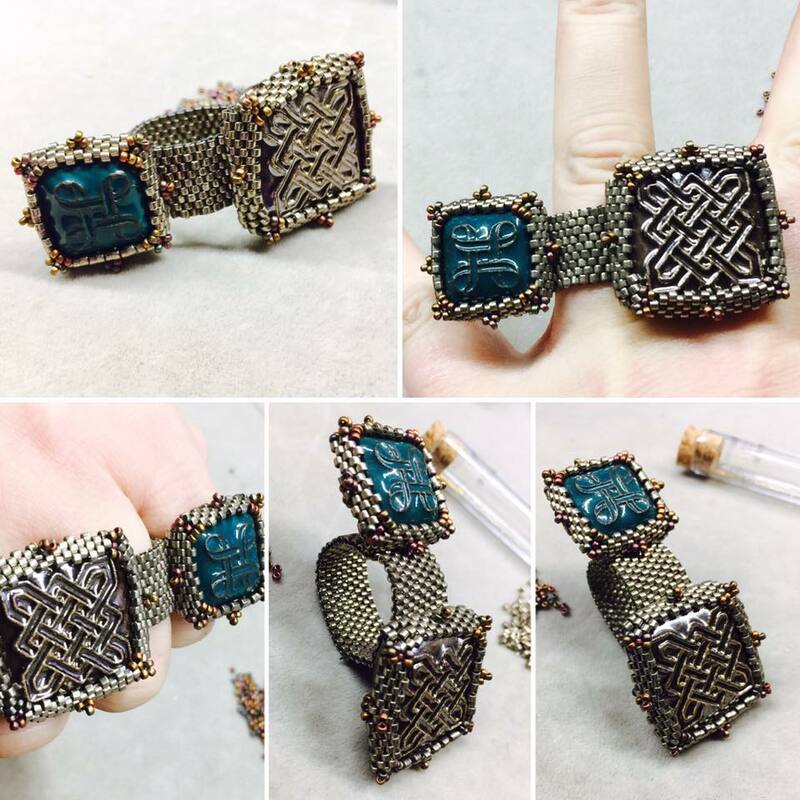 The cabs differ in size, colour and motif, but both of them are inspired by Celtic art. While the bigger one with metallic finish blends in more with the Japanese seed beads Sabine used to bezel and connect them, the smaller, dark turquoise cabochon gets more attention, despite its smaller size. Since the cabs are flat back, they sit perfectly when worn as part(s) of a ring. 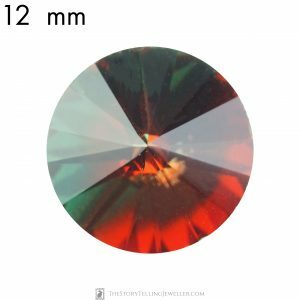 Sabine did a great job by showing off these art quality, handmade cabochons: while on first sight they get most of the attention, a closer look reveals Sabine’s creative, unusual and inspiring solution for this ring. Julie is also a fellow Beadsmith Squaddie, just like Katie Dean. 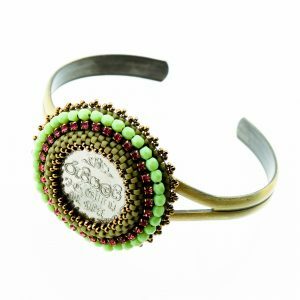 Her brand Julie Romero Paris features hand embroidered and beadwoven jewellery from soutache, glass beads, Swarovski crystal elements and many more interesting components. 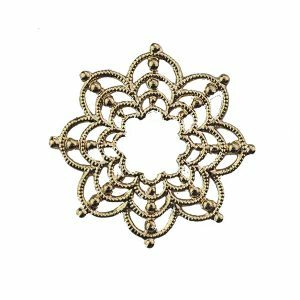 Julie is currently a student of the famous Luneville embroidery school in France, learning all the secrets about haute couture decorations. 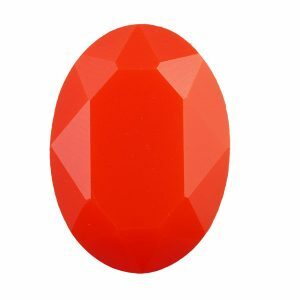 One of my favourite jewels from Julie is the necklace made with the bright orange rounded square L2Studio cabochon. It’s a happy, bold piece and goes very well with all the different elements Julie Romero used in her beautiful creation. I especially love the combination of colours, Caribbean Blue Opal being one of my all time favourites! I bet I don’t have to introduce you Miriam, the artist behind Cielo Design 😀 Her romantic, feminine pieces and her bubbly, happy personality are definitely something to remember! 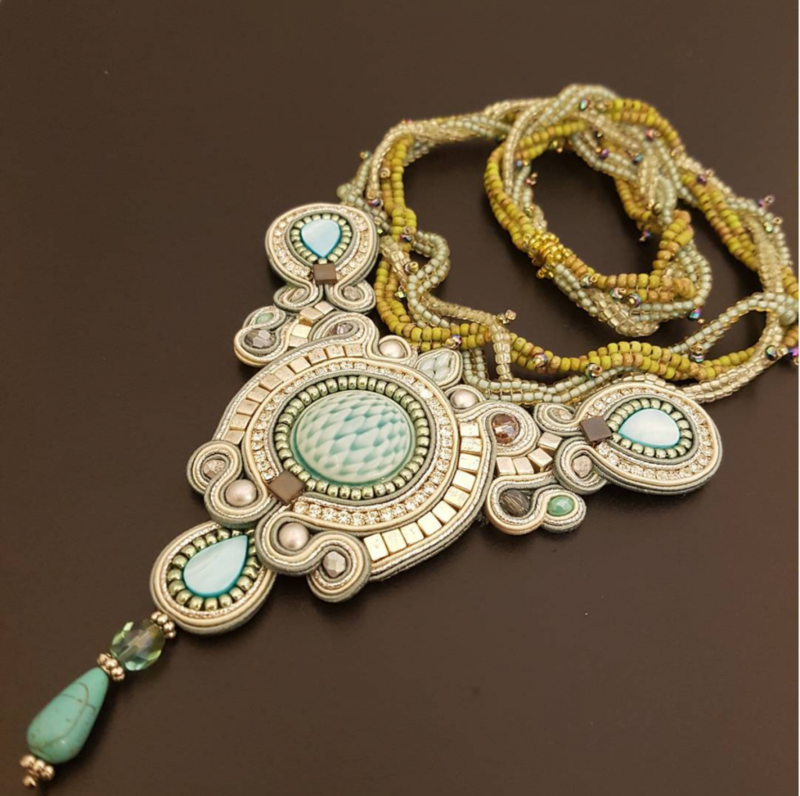 In this necklace she used a light turquoise – ebony white ‘Cactus’ cabochon from the L2Studio atelier, rhinestone chain, fire polished beads, Superduos and many different Japanese seed beads. The part around the neck reminds me of the wild, untamed vegetation and creepers of a tropical jungle, and the front part of an exotic flower hidden in the deep forest. 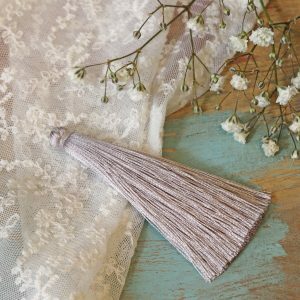 My favourite details are the tiny, purple-gold faceted beads on the neck-part, and the harmony of the many different shades Miriam used in this jewel. 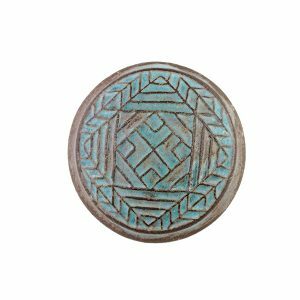 One of my favourite cabochons from L2Studio.sk is this smooth round bronze one. Both the colour and the texture evokes the impression of a metal feel. I combined it again with some rhinestone chain, Japanese seed bead and of my serpentinite cabochons. 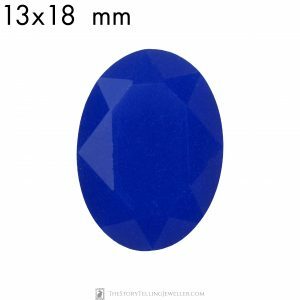 It is of an interesting shape, with golden coloured veins in the subtle, nearly translucent turquoise body. The rich mustard yellow Miyuki Tilas on the edge were a good choice, I think. 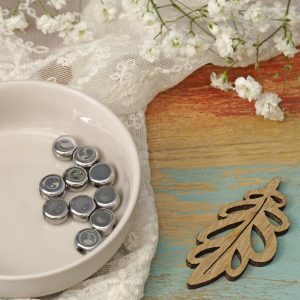 received a 50% coupon code last week for the L2Studio.sk Etsy store. Welcome in the ‘L2Studio.sk’ contest 🙂 You can enter until the 4th of August 2017, 12am Central European time. On the 4th of August one lucky winner will be selected randomly. Invite your friends to join, and receive 10 extra points after every friend who decides to join! By joining the contest you also join the VIP Jewelry Making Club. 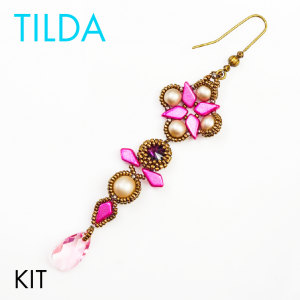 You will get free beading tutorials, news, coupon codes and many more. Face to Face: beaders retrospective!